Judit Gajáry (neé Wenczel) was born on March 23, 1935 in Budapest, Hungary into a well-to-do middle-class family. Her father was a successful lawyer. 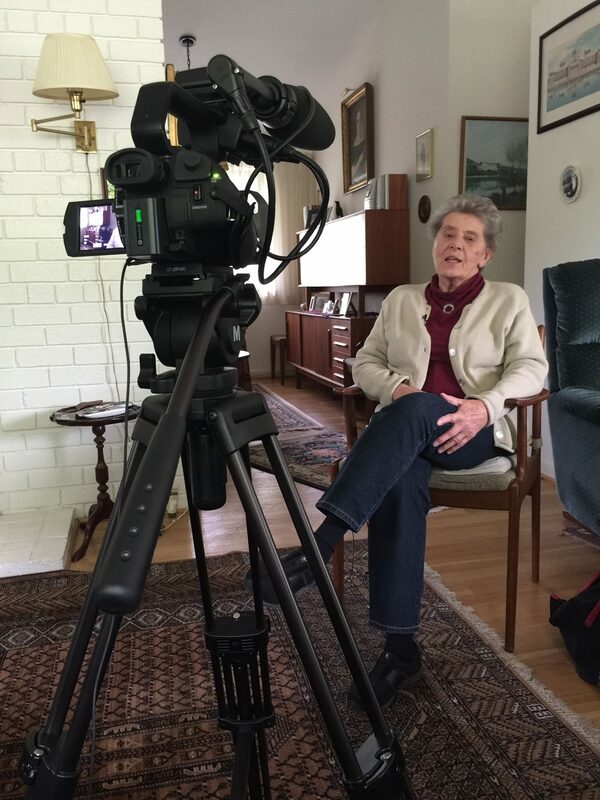 She remembers surviving the siege of Budapest during WWII by hiding in the basement with her family. She attended an elite Catholic school run by French nuns, but it was nationalized in 1948 when the communist government took over. Her family began to homeschool her when she was 15. In 1951, her family was internally deported (they had become "class enemies" under the new communist regime) to a small farm in the countryside where they had to work as agricultural laborers for three years. Judit speaks in detail about this time - both the horrible nature of their existence but also the irony of being amongst others like her family who were also 'class enemies.' In 1953, they were allowed to move back to the outskirts of Budapest and work in the city (but of course not attend college). She was resourceful and found work as a draftswoman. She met her future husband, Tibor Gajáry, on the bus to work every day - he had also been internally deported and also a class enemy. His father was in prison for conspiring against the government and was only freed during the Hungarian Revolution of 1956. Sadly, Kálmán Gajáry did not leave Hungary after the Revolution when he had the chance, and the authorities arrested him and returned him to prison, where he died in 1958. He is buried in Plot 301 along with many of the martyrs of the Revolution. Judit and Tibor were married in 1955 and Judit was expecting a child by the Fall of 1956. Her husband worked in hotel management and was employed at the Grand Royal Hotel in Budapest, which was later a stronghold of revolutionaries and therefore bombed and burned on November 4th when the Soviets returned to the city. Although neither Tibor nor Judit took part in the Revolution, Judit was an eyewitness to the demonstrations on October 23rd (her office was downtown, right in the path of the demonstrators). Although Judit's family decided to leave right after November 4th, Tibor and Judit waited, because they were not sure if leaving while Judit was pregnant was safe. They eventually left on December 6th, crossed with the help of locals at Sopron and ended up in a convent in Vienna. They were flown to Camp Kilmer and were sponspored by the same family as her parents were just a few weeks earlier. Tibor soon got a job in Washington, D.C. working at a hotel, and after their first son was born (they eventually had three children, two sons and one girl) they all moved to D.C. and have lived in Silver Spring since then. 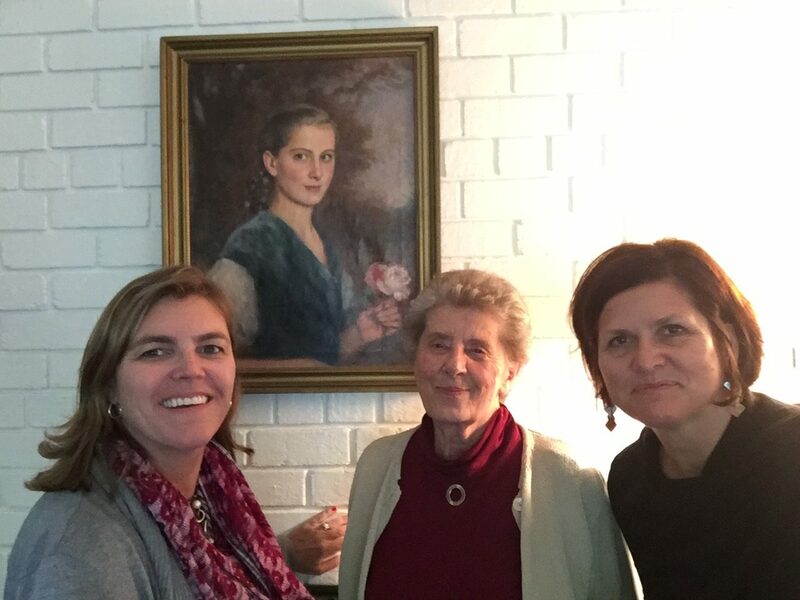 They spoke Hungarian at home and Judit says 80% of her friends are Hungarian, and they were involved in the Hungarian Catholic community in the D.C. area. She later worked as a draftswoman again, after being at home with her children for 17 years. The Gajárys have 5 grandchildren, although Tibor passed away in 2005. 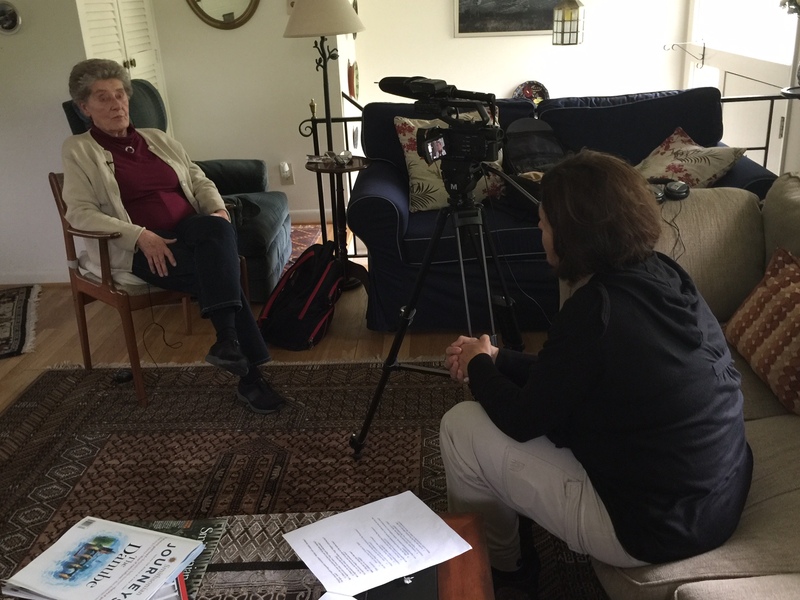 Interview conducted by Réka Pigniczky and Andrea Lauer Rice in Chevy Chase, MD, in 2017.